Italian archaeologists excavating the Phrygian city of Hierapolis in southwestern Turkey uncovered the remains of Pluto’s Gate, a site considered an entrance into the underworld in the Greco-Roman period. The apostle Philip preached and died at Hierapolis, a thriving Roman city that became an important Christian center. Pluto’s Gate in ancient Hierapolis was considered a gateway to hell and sacred to the underworld deity Pluto. Photo: Francesco D’Andria, Discovery. Hierapolis archaeologist Francesco D’Andria reconstructed the route of the area’s thermal spring to discover Pluto’s Gate, which was destroyed by Christians in the sixth century. The Plutonium’s infamous mystique is not just the stuff of legend; during the excavation, several birds were killed by carbon dioxide emissions as they approached the Plutonium cave’s entrance. During the excavation, poisonous fumes from Pluto’s Gate killed several birds, echoing the seemingly mythological tales recorded by Strabo. Photo: Francesco D’Andria, Discovery. This is not the first astounding discovery at D’Andria’s excavation at Hierapolis, located next to the often-visited hot springs and travertines at the World Heritage Site of Pamukkale. According to the apocryphal Acts of Philip, the apostle Philip preached and converted many Hierapolis residents, yet he was martyred there nonetheless. An octagonal church was built in Hierapolis to memorialize the saint, and a sixth-century bread stamp depicts Philip standing at the very site. 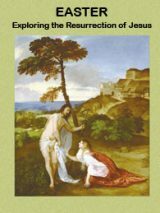 The publication of D’Andria’s article “Conversion, Crucifixion and Celebration” in the July/August 2011 issue of Biblical Archaeology Review was followed by the discovery of a small church that D’Andria believes to be the tomb of St. Philip. “CASTLE OF COTTON.” The translation of Pamukkale, the modern Turkish name for the area near Hierapolis, aptly describes the breathtaking natural travertine formations at the site. Hierapolis sits on an active seismic fault line that has created earthquakes and hot springs over the millennia, the latter an early attraction of the site. The precipitation of minerals from the geothermal hot springs harden into the sedimentary rock travertine and form the so-called “cotton flowers” that continue to attract visitors. Photo: Archive of the Italian Archaeological Mission to Hierapolis. The Plutonium, below a small brow of the mountainous country that lies above it, is an opening of only moderate size, large enough to admit a man, but it reaches a considerable depth, and it is enclosed by a quadrilateral handrail, about half a plethrum in circumference, and this space is full of a vapour so misty and dense that one can scarcely see the ground. Now to those who approach the handrail anywhere round the enclosure the air is harmless, since the outside is free from that vapor in calm weather, for the vapor then stays inside the enclosure, but any animal that passes inside meets instant death. At any rate, bulls that are led into it fall and are dragged out dead; and I threw in sparrows and they immediately breathed their last and fell. But the Galli, who are eunuchs, pass inside with such impunity that they even approach the opening, bend over it, and descend into it to a certain depth, though they hold their breath as much as they can (for I could see in their countenances an indication of a kind of suffocating attack, as it were)—whether this immunity belongs to all who are maimed in this way or only to those round the temple, or whether it is because of divine providence, as would be likely in the case of divine obsessions, or whether it is, the result of certain physical powers that are antidotes against the vapor (Strabo, Geography 13.4.14, trans. by Horace Leonard Jones). Read more about Pluto’s Gate at Hierapolis. 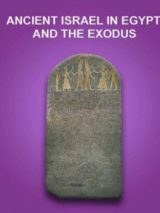 This Bible History Daily feature was originally published on April 1, 2013. I heard the road leading to the site was paved with good intentions. After converting Nicanora, the wife of the pagan proconsul, her husband became enraged and threatened her, being himself a snake worshipper. She urges him to convert saying, “Flee from the wicked dragon and his lusts; throw from you the works and the dart of the man-slaying serpent.” These being serpents that could not be charmed (Psalms 58:5,6), the snake-worshippers were in the grip of their desires and did not need (no) education. The Christians were persecuted and Phillip was martyred. The words of Nicanora recall the Isrealites during their wilderness wanderings who were set upon by serpentine seraphim (Numbers 21:6) whose venom had a burning effect. So it is interesting that the sixth-century bronze bread stamp portraying the apostle Phillip, with an inscription quoting Isaiah 6:3:”Holy, holy, holy, Lord of hosts; heaven and earth are full of Thy glory”, is sung by a higher order of Seraphim who stand before God’s throne (Isaiah 6:2). Also, it is ironic that Plutonium, once a lethal PLACE, is now a lethal (in more than one way) ELEMENT. I doubt that the scientific community naming the element was aware of this. Several volcanic lakes around the world have occasional carbon dioxide eruptions, but this is the first CONTINUOUSLY emitting location I have heard about. As to why the natives seemed to be able to enter the lethal gas area without harm, it was probably because, being aware of the gas, they took deep breaths and held them for up to a minute. If they were breathing normally and taking in carbon dioxide, their breathing would automatically speed up, in a vicious cycle resulting in taking in more of the asphyxiating gas, then unconsciousness and death (unless they were dragged out by a rope). Also, the gas is heavier than air and has no odor.